Is Tucson To Blame For The Violence? 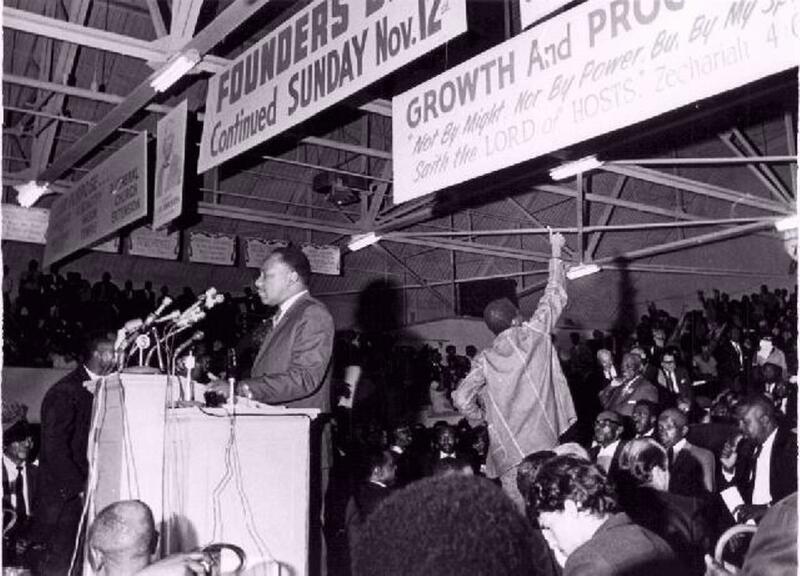 Martin Luther King speaking at a Memphis rally prior to his assassination in 1968. “I wish he wouldn’t come,” she said. The Tucson resident worried that President Barack Obama’s appearance at a memoriam for those recently killed in her city would somehow reinforce the idea that Tucson was an environment that fostered such violence. Her worry is understandable. I remember when, in the days following Martin Luther King’s 1968 assassination, my hometown of Memphis was assailed by Time magazine as an place that was somehow responsible for the killing. It was, after all, a “rotting River city,” in the magazine’s words. Earlier, Dallas—and its laughably inept, cowboy-hat-clad police force–had been the object of finger-pointing in the aftermath of John F. Kennedy’s murder. In more recent times, Oklahoma City has seemed to blame for the wacko reactionary attitudes of Federal Building bomber Timothy McVeigh. There is some validity in the sentiment–after all, environments are responsible to a degree for inhabitants’ actions. Moreover, Tucson does seem a bit off-center. Jared Loughner was far from the only gun nut present at the Safeway on January 8; federal judge John M. Roll, who was killed, Representative Gabrielle Giffords, who was shot in the head, and one of the doctors who attended Giffords were all known to sometimes pack heat and to frequent shooting ranges. Moreover, as The New York Times reports today, there are two gun shows scheduled in the Tucson area during the next two weeks. But there’s also something wrong here: The rest of America is looking for someone else to blame for the violence that is, after all, epidemic across the land. Yes, gun sales soared in Tucson after the shootings there–but they also rose across the country, including in such “blue” states as New York. Sometimes, events in the United States just seem to drive you to despair.